See Sunken Vessel for related information. CHARLESTON, S.C. — Coast Guard crews suspended their search Friday for a missing mariner near Charleston Harbor after locating the mariner’s body near Orangegrove Creek. Watchstanders at Coast Guard Sector Charleston received notification from a fisherman that they found at approximately 7:50 a.m. Watchstanders diverted Coast Guard crews to the location but were unable to recover the mariner due to water depth. Charleston County Sheriff’s used an airboat to reach him. Coast Guard rescue crews were composed of an Air Facility Charleston MH-65 Helicopter crew and three Station Charleston response boat crews. Crews searched throughout the night and conducted first light searches. Other agencies involved with the search were Charleston City Fire, North Charleston Fire, Charleston Police, Mount Pleasant Police, Mount Pleasant Fire, Charleston County Sheriffs, and South Carolina Department of Natural Resources. Editor’s Note: Click on images to download a high-resolution version. CHARLESTON, S.C. — Coast Guard and partner agency crews are searching for a missing mariner after a dredge workboat capsized near Charleston Harbor Thursday. Two mariners were on the workboat when it capsized, one was recovered by the dredge. 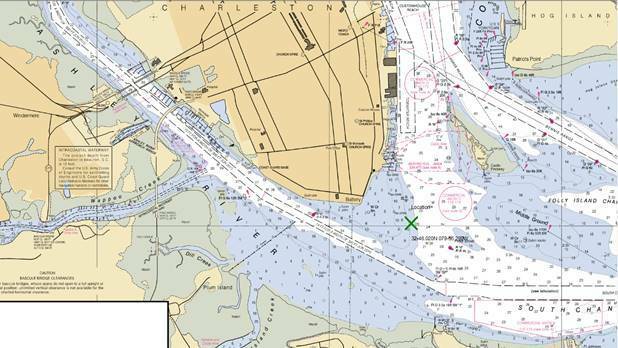 Coast Guard Sector Charleston Command Center watchstanders were notified at 9:51 p.m, Thursday, the Dredge Brunswick was towing a workboat with two mariners that capsized. A Coast Guard Air Facility Charleston MH-65 Helicopter crew and two Station Charleston response boat crews searched throughout the night and are currently conducting first light searches. Other agencies involved with the search are Charleston City Fire, North Charleston Fire, Charleston Police,Charleston County Sheriffs and South Carolina Department of Natural Resources. The vessel’s owner is coordinating salvage.